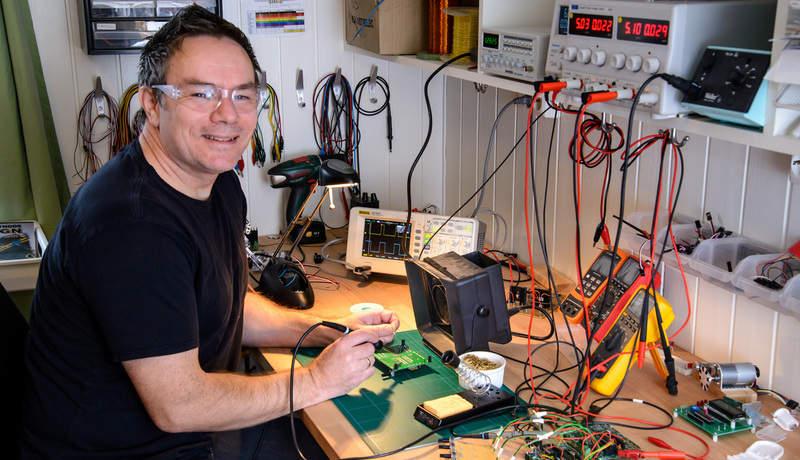 ​Electronics engineer and maker, supporter and contributor of open source software and hardware. The goal of this site is to provide an overview of my interests, skills and experience, intended to be relevant for anyone who would like to cooperate with me, being an employer, a partner, a client, a startup or an open source project. Where possible, I have included descriptions of projects, to examplify my skills and experience. In addition, several other special skills and interests are briefly described. This site originally emerged from the need to get some structure on the documentation of my electronics projects. In that process it seemed natural to try to document it properly and share it as Open Source Hardware. Open Source brings up a lot of possibilities for collaboration. It is my goal to present and document the projects as close as possible to the best practices of the Open Source HW Definition. ​So my original intention with this site was twofold; first to present and share my projects and ideas, and invite others to contribute. Secondly (but not lastly) I would enjoy being a contributor to other’s Open Source Hardware projects. Open source software and hardware is all about collaborating and achieving greater results in communities than individuals can do alone. I would enjoy contributing in other people’s projects, as well as welcoming others to contribute in mine. So, what can I contribute with? See the electronics section for more info.